In any given yoga class, we are bound to practice an abundance of poses which stretch our hamstrings and relatively few that actually strengthen them. This rarely-discussed imbalance in yoga sequencing tends to occur for two main reasons. First of all, there simply aren’t that many yoga asanas out there which strengthen the hamstrings in a meaningful way. Even if a yoga teacher wanted to focus specifically on hamstring strengthening in a particular class, she would have very few options in the traditional yoga pose canon from which to choose. Second, yoga teachers are well aware that many of their students have “tight” hamstrings, and there is a conventional belief in the yoga world (and in the fitness community in general) that it is not advisable to strengthen “tight” muscles because it will only make them tighter. Today we’ll focus on the latter of these two issues: the idea that we should avoid strengthening our tight muscles because they are already tight. This is a very common and completely understandable belief among yogis. After all, one of our foundational goals in our yoga practice is to cultivate balance in our body. With this goal in mind, one of the last things we would want to do is create more tightness in an area that was already tight-feeling to begin with. BUT WHAT DO WE MEAN WHEN WE SAY “TIGHT”? The reality is that there is ultimately no science-based definition for the word “tight”. The term is a very subjective one that each person experiences uniquely in his or her own body. This lack of an actual physiological definition for “tight” throws into question the very basis for the “strengthening tight muscles makes them tighter” belief. If there is no clear mechanism for what “tight” is, any rule about the body based on this concept begins to lose its meaning. ARE TIGHT MUSCLES SHORT MUSCLES? Although the notion of “tight” lacks a physiological definition, one commonly-shared belief about tightness is that the muscle(s) in question are shorter than they should be, and the natural solution to their “tightness/shortness” is to therefore lengthen them back out by stretching them. This has been the dominant paradigm regarding stretching and “tight” muscles in the yoga world (and the fitness community in general) for many years. In my 2-part blog post series Stretching Is In Your Brain, I discussed that in contrast to this “short muscles that need to be lengthened” idea, a more updated, research-based perspective on stretching is the notion that our body’s flexibility is instead governed by our brain and central nervous system via a mechanism called stretch tolerance. [See study.] In summary, our inflexibility is not due to physically short muscles - it is instead due to our brain putting the brakes on our movement because it perceives that any deeper of a stretch will not be safe for us (and it’s probably right!) The “tightness” feeling that we experience at the end of our stretch is not the feeling of short muscles reaching the end of their length, but of an output of our brain in response to our stretch designed to signal us to stop the movement. Isn’t this a fascinating and possibly mind-bending new way to approach the body in terms of stretching and our yoga practice? Paradigm-shifting aside, let’s return to the main topic of this article, which is the common belief that strengthening a tight muscle will make it tighter. In the same way that we tend to believe the outdated idea that our inflexible muscles are “short”, we also tend to believe that strengthening a muscle will physically alter that muscle so that it becomes shorter. 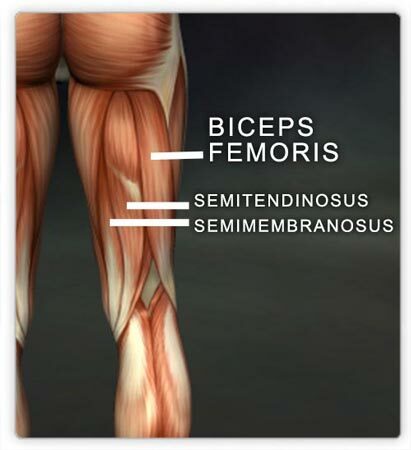 For example, the hamstrings might be the number-one-cited area of “tightness” in the average body. (But remember that “tightness” is a non-specific term without true scientific meaning.) If we believe that our hamstrings are “tight” because they are short, and if we also believe that strengthening muscles will physically shorten them, then there is no way that we would ever think that strengthening our short, tight hamstrings is a good idea. Tight plus tight equals more tight, right? These arguments would absolutely make sense if we were still operating under the paradigm of physically-short muscles that we lengthen back out by stretching. But in the same way that we now understand that stretching a muscle doesn’t make it “longer”, we have also learned that strengthening a muscle does not make it “shorter”. Or to be more accurate, there is very little (if any) evidence to support the idea that strengthening a muscle causes it to structurally change so that its resting length becomes shorter. As counterintuitive as it may seem (believe me, I know! ), strengthening muscles does not “tighten”, “stiffen”, or “shorten” them - it doesn’t decrease their flexibility in any way. [See study.] In fact, if we strength train our muscles eccentrically (which means that our muscles are active as they lengthen), this has been shown to actually increase their flexibility. [See study.] So not only does strengthening a muscle not physically shorten it, but if done correctly, it can increase its stretch tolerance. This seems so contrary to popular thinking, but once we understand that our muscles only do what our powerful, communicative, and dynamic central nervous system tells them to do, these concepts begin to make more intuitive sense. One important note is that while strengthening doesn’t stiffen our muscles, it will stiffen up our connective tissue (which is distinct from, although interwoven with, our muscle tissue) - but this is actually a desirable outcome. As I discussed in Stretching Is In Your Brain Part 2, we want our connective tissue to be stiff so that it can be strong, resilient, and less vulnerable to injury. In circling back to the overarching question of this article: no, strengthening your tight/short hamstrings (or any other muscles) will not make them tighter/shorter. But it will make the connective tissue of your hamstrings stronger and less prone to injury. 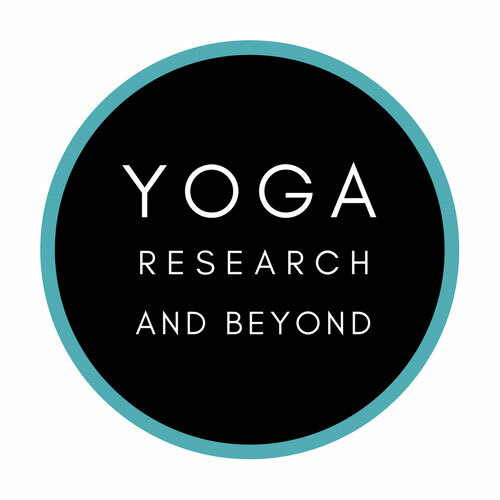 This is especially relevant for yogis, given the high incidence of hamstring pulls and strains we experience in the yoga community as a result of the traditional sequencing of lots of hamstring stretching and very little strengthening. With this new knowledge about muscle physiology in mind, we should feel encouraged to strengthen any area of our body we might have previously been avoiding because we were afraid it would “tighten” up as a result. 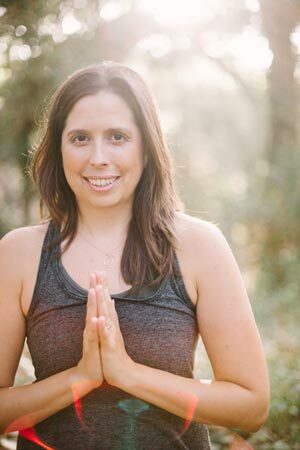 This change in approach will represent a path toward greater body awareness and the true balance that so many of us seek through our time on the yoga mat.